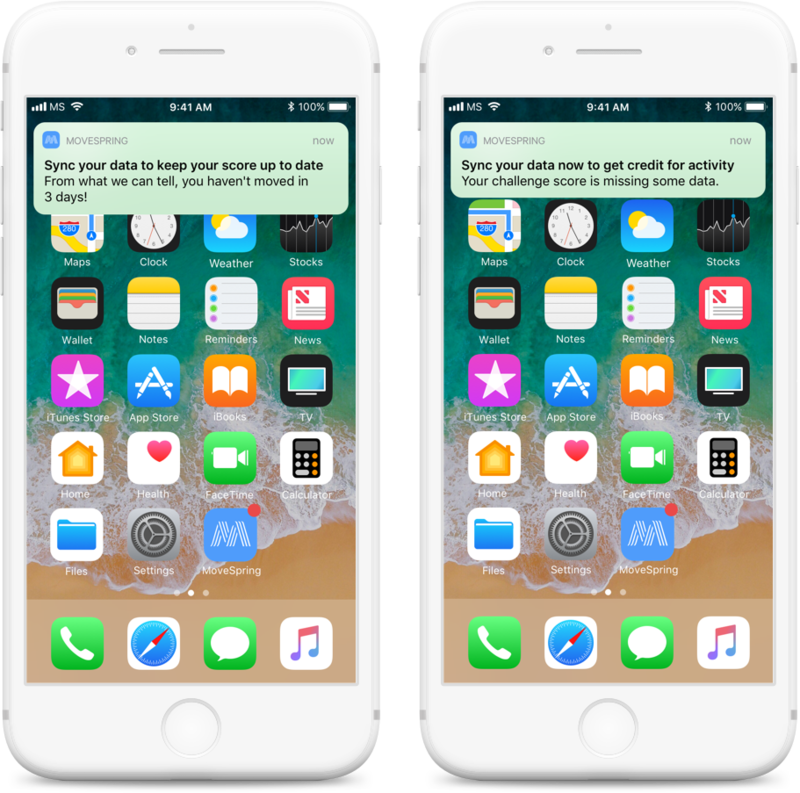 Push notifications send users a timely message about an event occurring inside the app. Use push notifications to prevent users from missing key moments or info in their challenge. Users will receive these notifications if they use the mobile app. MoveSpring currently has 3 types of push notifications. All clients should customize their notification preferences before on boarding their participants. Once a user creates their account they can adjust their notification preferences in their Profile. User preferences are always favored and cannot be changed. When a new piece of content is posted, a user will get a push notification to alert them. Be sure to schedule a variety of content throughout your challenge. Each time a new chat is posted in the group chat, all challenge participants will get a push notification. We summarize large volumes of messages as to not overwhelm the user. We send 2 reminders to sync. The first is when the user hasn’t synced in 3 days. The user will receive another reminder if they haven’t synced in 7 days total. 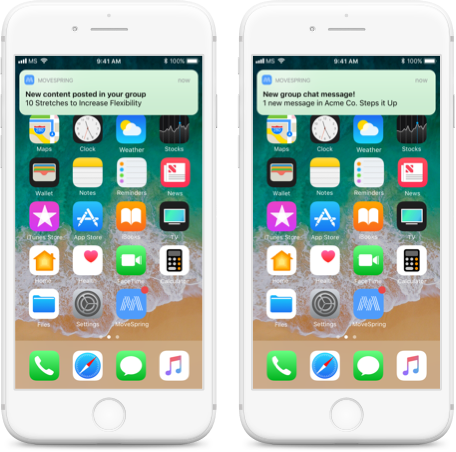 If you're a user looking to better understand how to adjust your push notification preferences please review this help article. If you have any further question on push notifications please contact your client success rep!